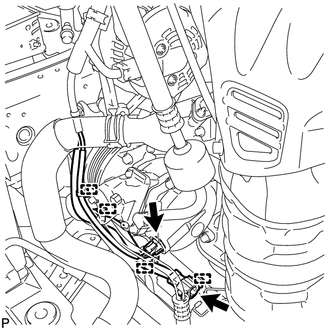 Refer to the procedure for Remove Radiator Assembly (See page ). (c) Using pliers, grip the claws of the clip and slide the clip to remove the No. 2 radiator hose. 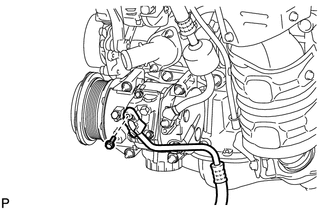 (d) Remove the bolt and disconnect the cooler refrigerant discharge hose from the compressor assembly with pulley. 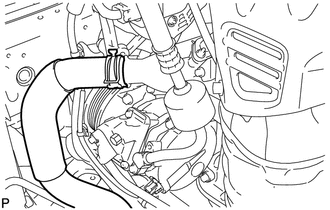 (e) Remove the O-ring from the discharge hose. 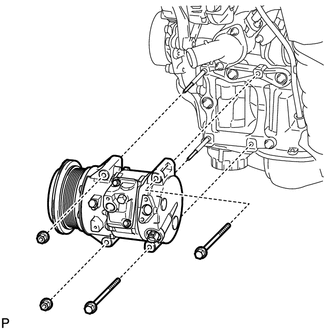 (a) Remove the bolt and disconnect the suction hose sub-assembly from the compressor assembly with pulley. 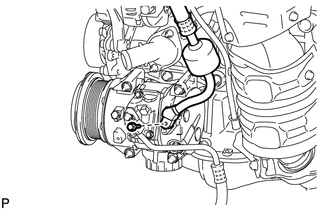 (a) Remove the 2 bolts, 2 nuts and compressor assembly with pulley. 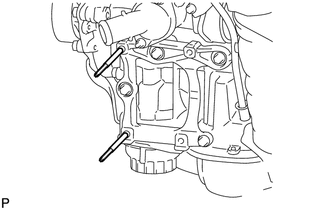 (b) Using an E8 "TORX" socket wrench, remove the 2 stud bolts.